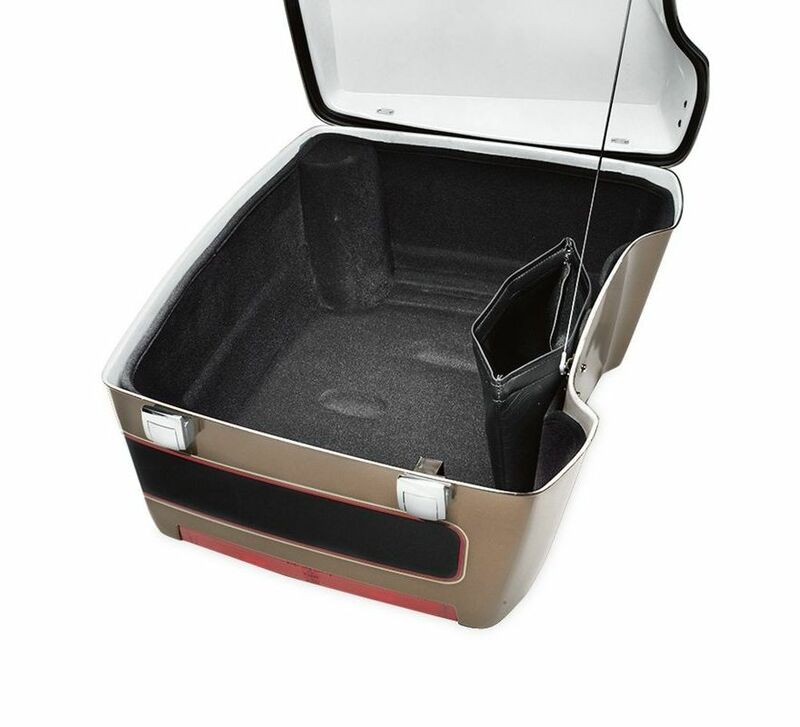 Line your Touring bike's luggage to protect your belongings and reduce noise and rattles on the road. Fits '93-'13 Touring and Trike models equipped with King Tour-Pak® luggage without incandescent wrap-around Tail Lamp Kit. Does not fit with Tour-Pak® bottom tub mounted accessories.